This is my first Science Lifestyle Blog obituary. It’s not that I purposefully avoided obits in the past, but there are other publications that would probably do a better job of it. In this case, however, I have a specific agenda in covering the death of Andrew E. Lange who passed on January 22, 2010 – an apparent suicide. I’m having trouble comprehending the suicide of a world-class scientist who, for all intents and purposes, had everything to live for. Mankind, too, loses out for all of the science this man could have produced with his remaining years – he was 52. Dr. Lange was a professor of physics at Caltech and in 2008 was named chairman of Caltech’s physics, mathematics and astronomy division (he recently resigned this post, a probable harbinger of his intentions). He was also a senior research scientist at NASA’s Jet Propulsion Laboratory. 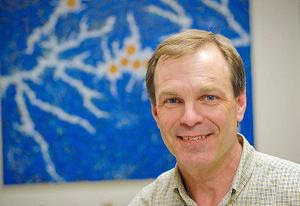 Lange graduated from Princeton University in 1980, and earned a doctorate at UC Berkeley in 1987. Lange left behind three young children. Professor Lange was best known as co-leader of project “Boomerang,” which in 1998 used a telescope, carried over Antarctica by a balloon for 10 ½ days, to study the so-called cosmic microwave background – radiation left over from the Big Bang. His contributions to the field of cosmology were considerable. Lange checked into a Pasadena, Calif. hotel and the next morning housekeepers found him dead, apparently due to asphyxiation. "He was the best possible scientist and person," Professor Marc Kamionkowski , a 10-year department colleague, said during an interview. Lange's death, he said, had left everyone shocked and confused. Yes, I’m shocked and confused. I’ve followed Lange’s work for years. My questions is how could this happen? A research scientist of this caliber is typically so absorbed with his experiments that suicide is very low on the priority list. Some colleagues have said he was struggling with personal issues. But what problem could have seemed so insurmountable that he felt suicide was the only possible solution? I’ve read that suicide victims typically feel they’ve reached a point where the level of pain associated with living exceeds their comprehension of dying. Maybe I don’t understand that degree of despair, and hopefully I never will. I don’t have any answers what so ever, but I intend on reflecting on this loss for some time to come. The reason this is 'shocking' and 'confusing'...is because this man did not kill himself. Asphyxiation...by himself?...more like he had some help. What is it that he knew that the mainstream population did not, or what had he recently discovered that would pose as a threat to NASA? These are the real questions to be asked. Scientists do not function from an 'emotional' basis...their brains are not calibrated this way. Therefore the emotional issues involved with suicide are not viable. This is not rocket science. Ah, an interesting conspiracy theory. Someone please provide additional info on this. I'd like to know why NASA would murder a prominent astrophysicist.